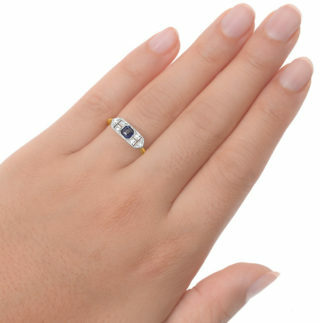 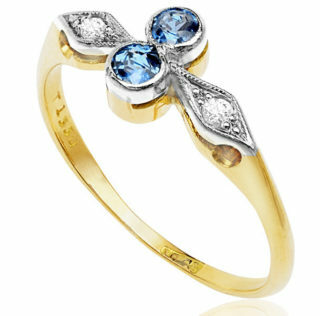 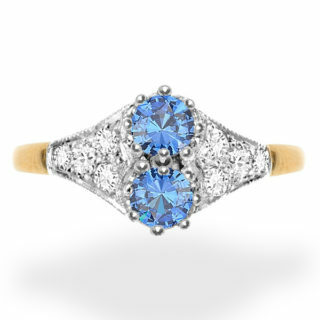 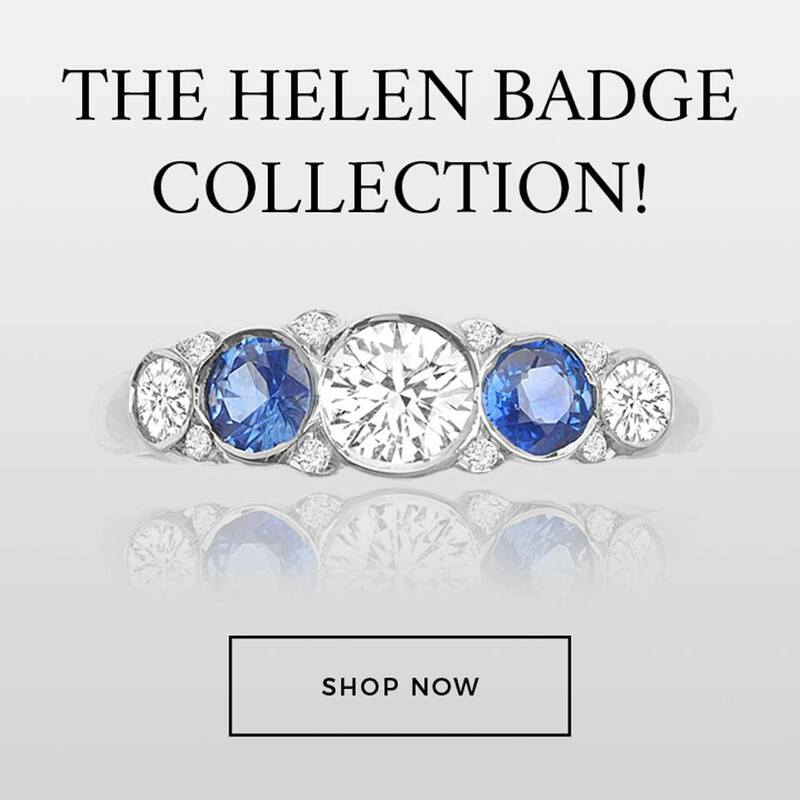 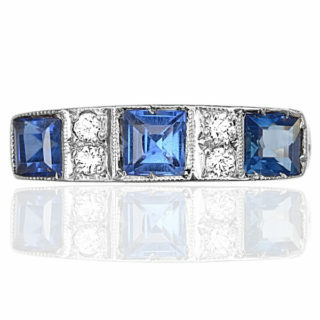 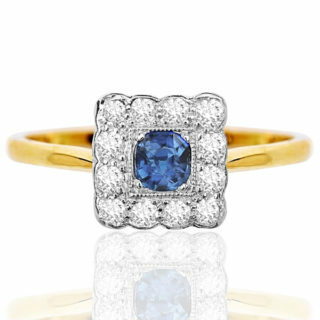 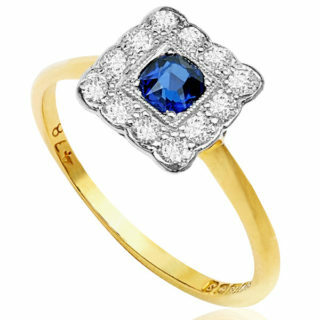 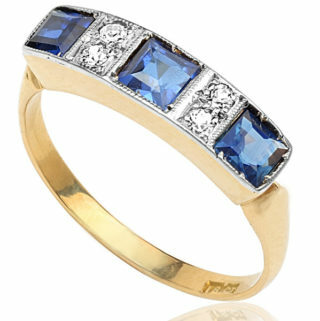 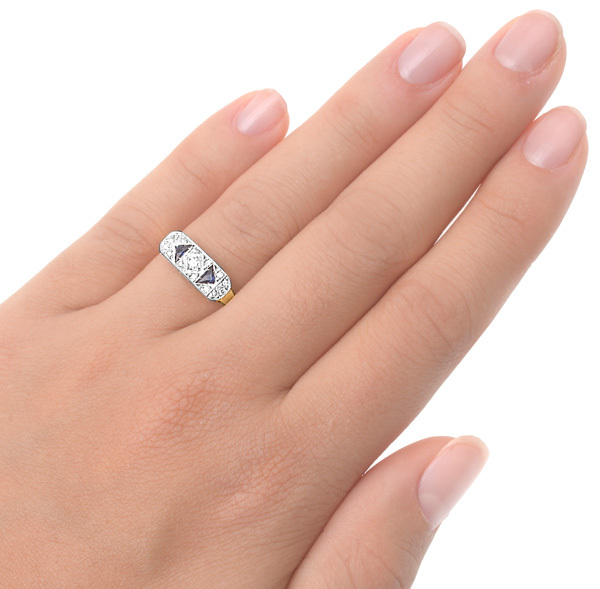 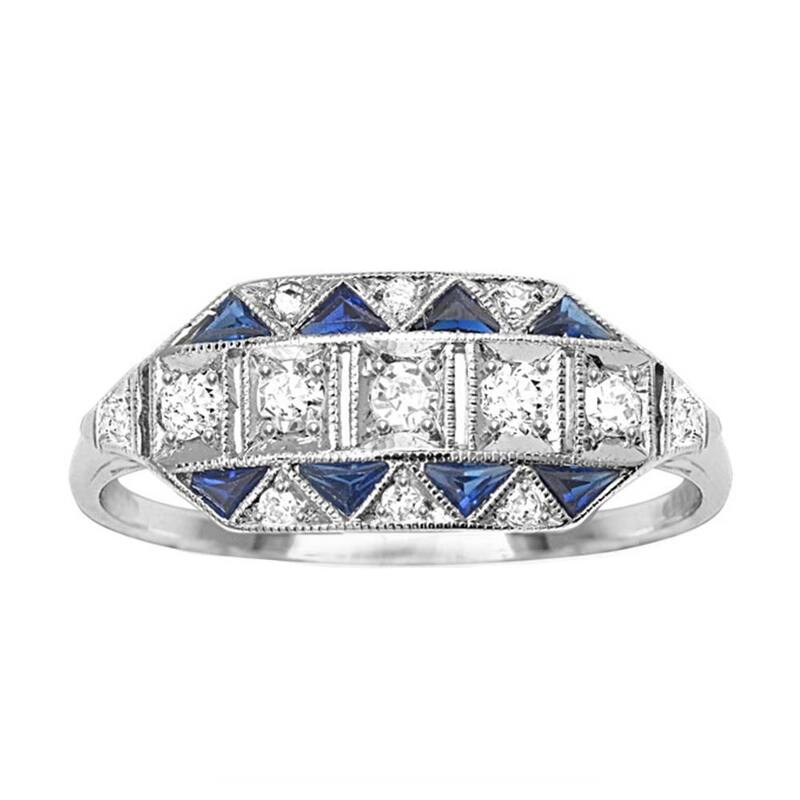 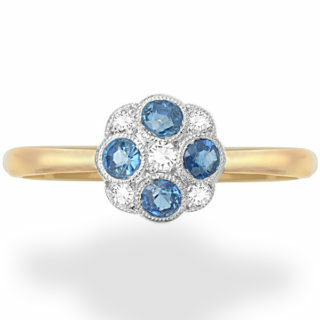 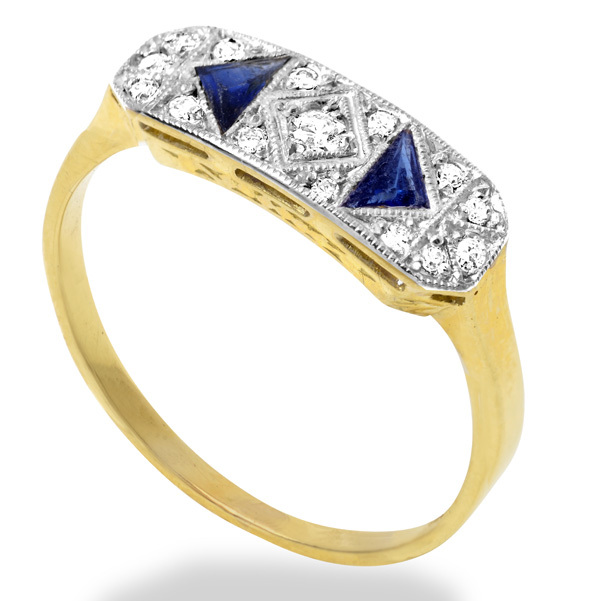 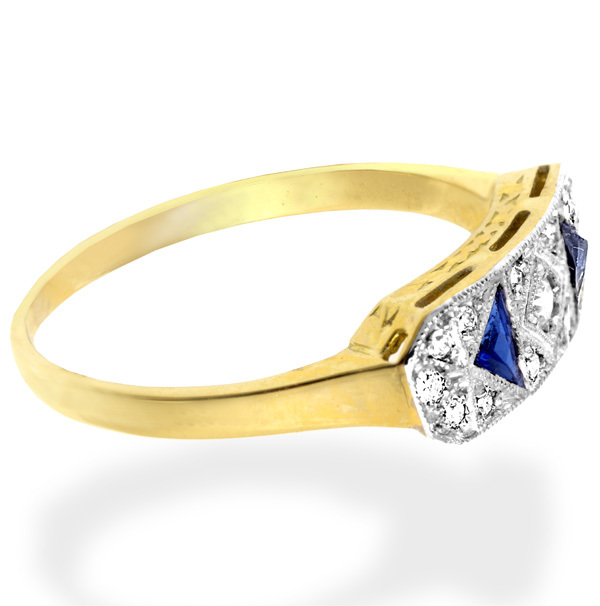 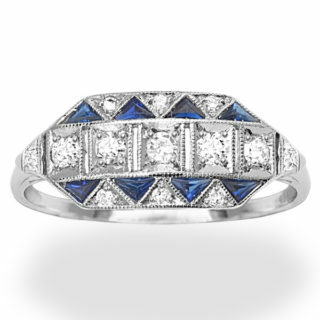 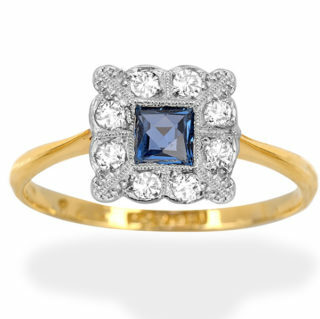 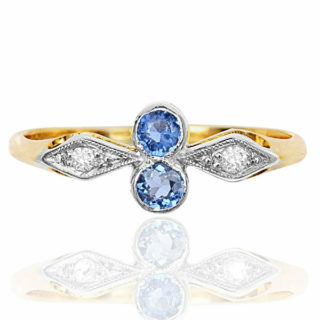 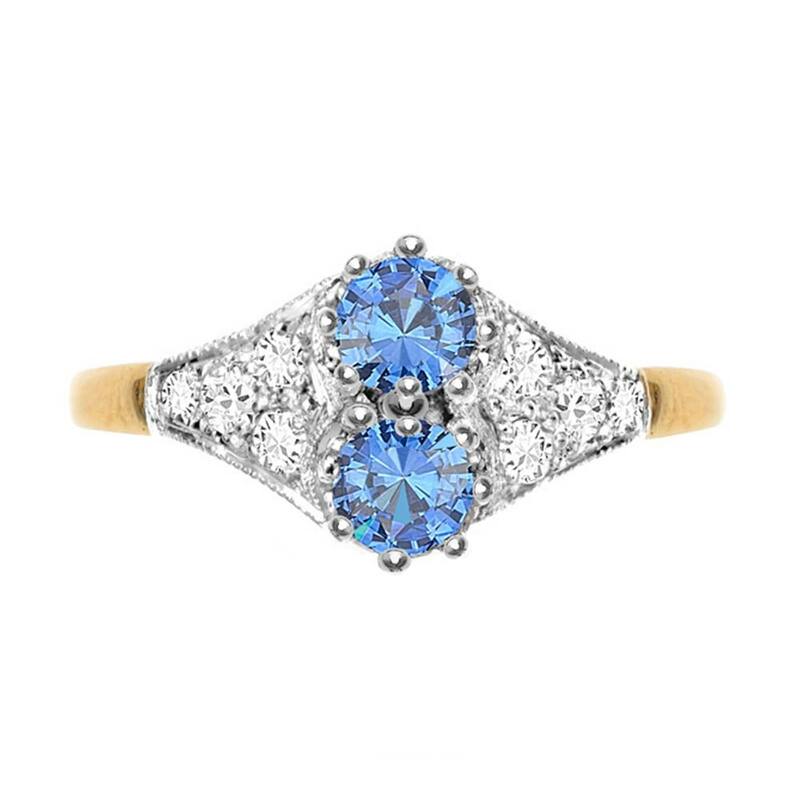 An elegant original French Art Deco Sapphire and Diamond ring. 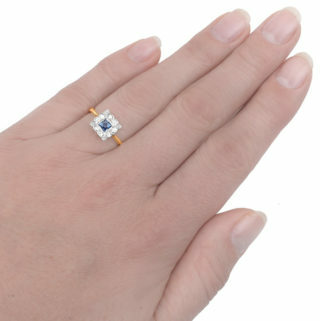 There are 15 round old cut Diamonds totalling 0.12 carats and superb F/G colour and Si clarity. 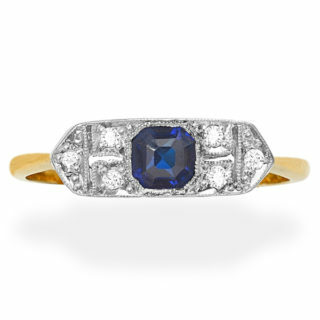 The two Trillian cut Sapphires are 0.12 carats in total and a lovely deep blue colour. 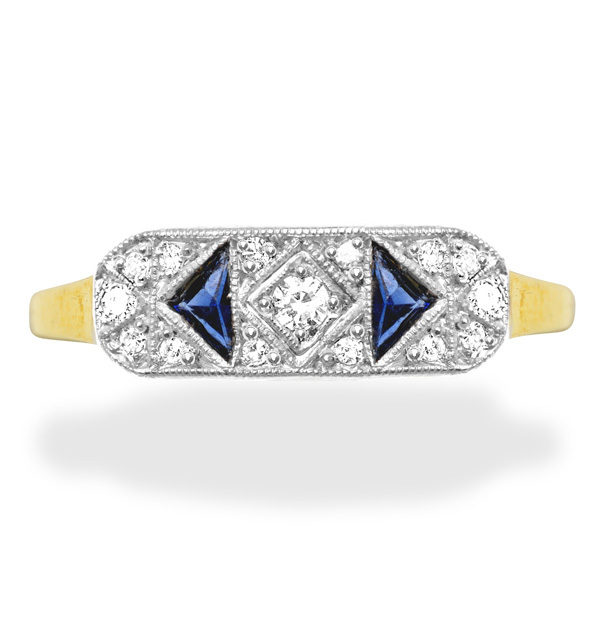 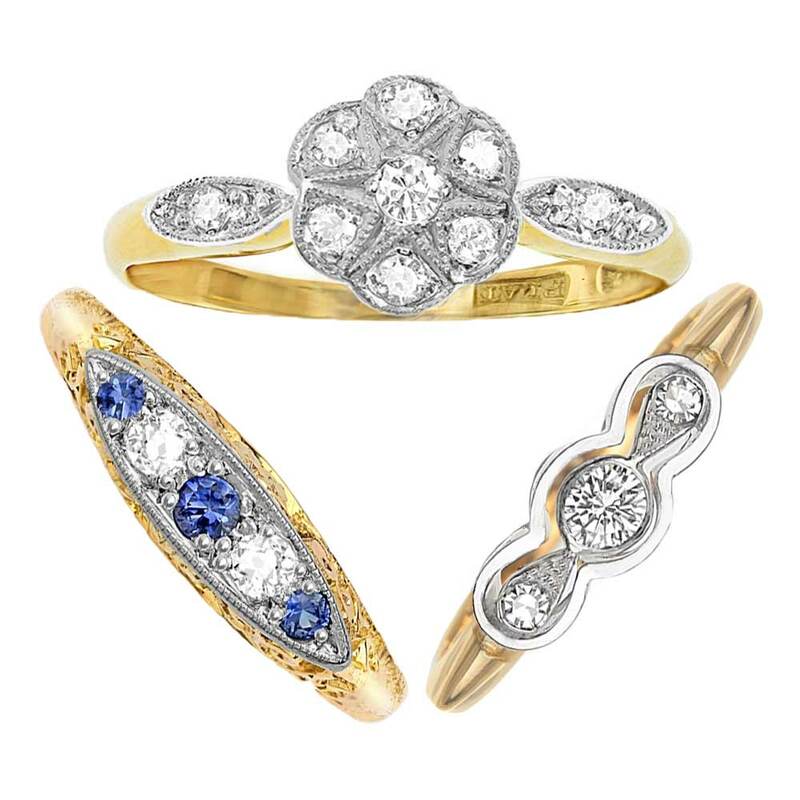 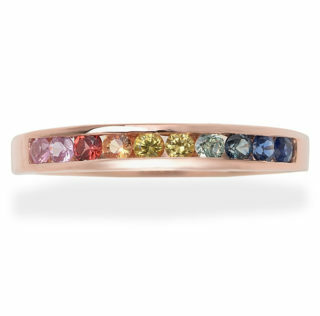 The face of the ring is made from Platinum and the band is 18 carat gold. 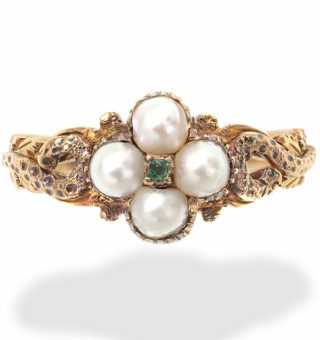 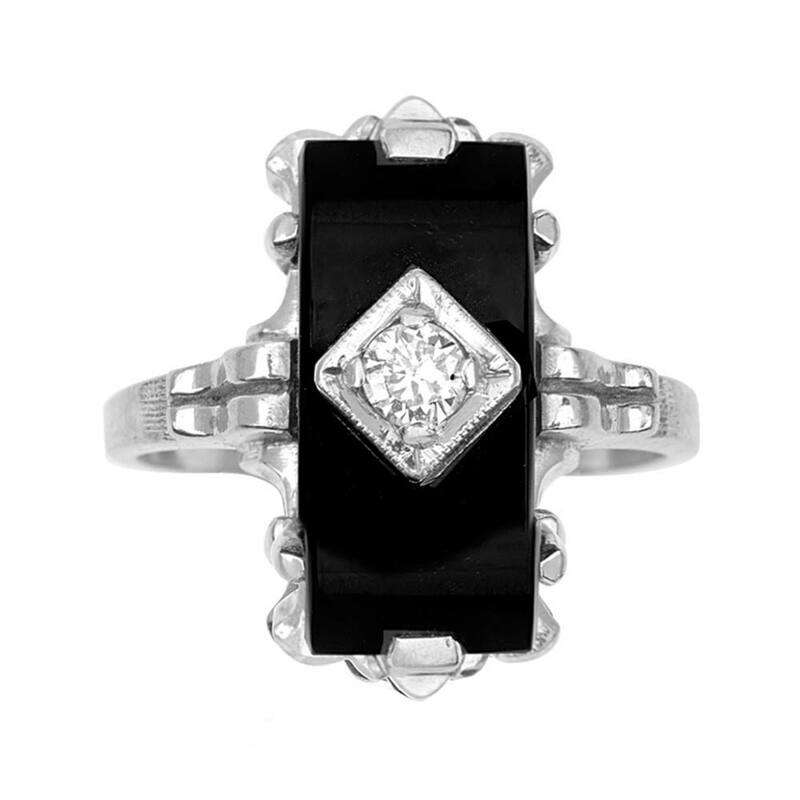 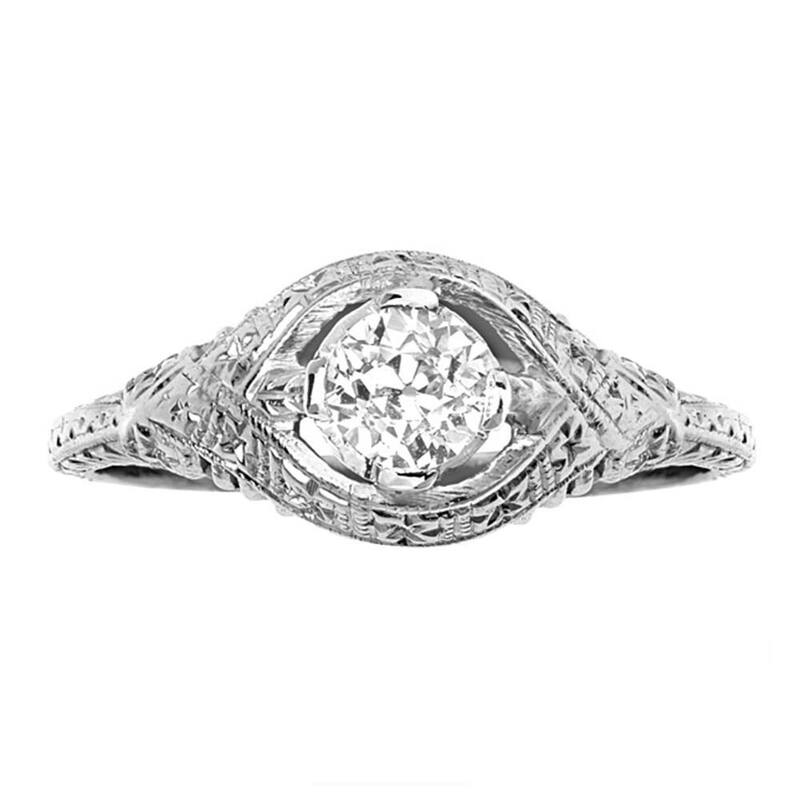 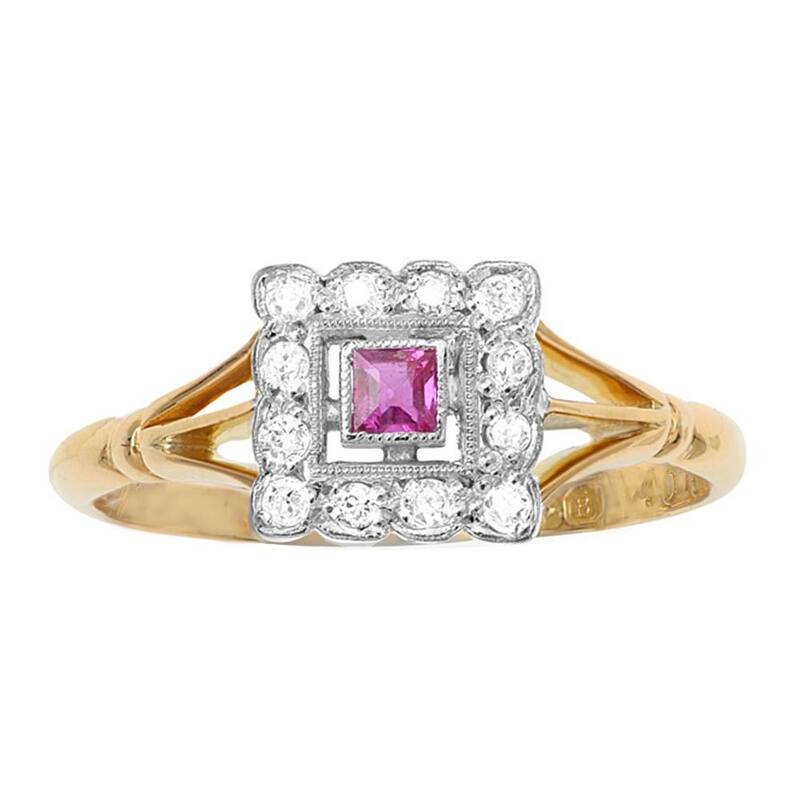 A lovely original 1920s ring for a lucky woman. 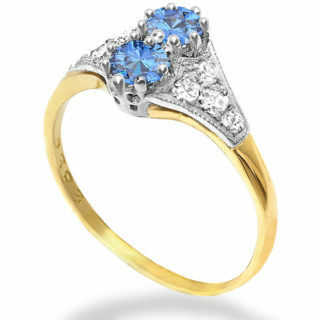 It comes with an independent valuation and can easily be sized.